But this verse is not hocus pocus. It’s not a magical incantation. The name of Jesus is not some name to be used to get what you want. This verse is an act of worship; an act of submission. 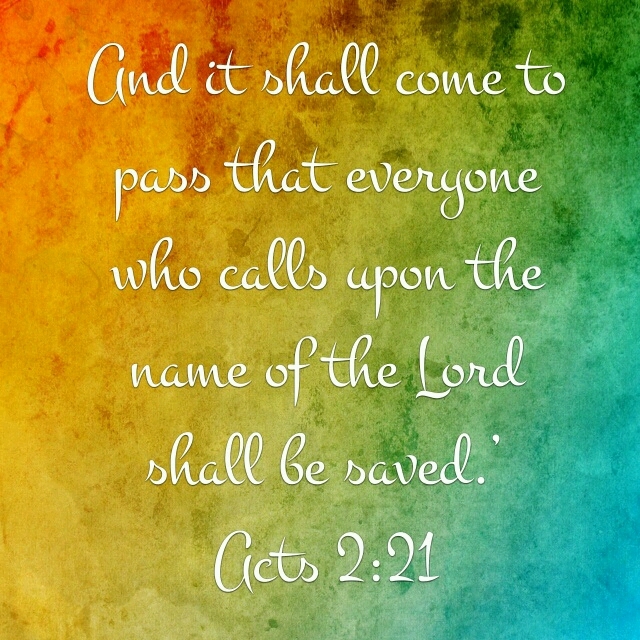 Notice that it does not say, “calling on the name of Jesus” but rather “Lord”. It is definitely referring to Jesus but instead uses the title that describes Jesus’ relationship to you. To call on a lord is to recognize their authority over you. You aren’t going to call on a lord if you don’t think they can save you. But in this case, calling on THE Lord, Jesus, is something one does because they already know Jesus can and has saved them through faith. A person is not going to do this willy nilly because they want to save their butts from the eternal flames, but one does this out of love for the one who forgives sin through amazing grace. But also, one doesn’t not submit to a lord if they still want freedom over their own life. You don’t submit to a lord if you’re too proud to admit you need help. You don’t submit to a lord if you want your cake and eat it too. But the fact of the matter is we need help and with Jesus you get something better than the proverbial cake. With Jesus you get THE Lord of lords who takes great joy in saving your life. So go on, call on Jesus, submit to him and praise his Holy name. Father God, you’re an awesome God. Thank you for sending Jesus to be Lord of my life to save me from myself. In Jesus name I pray, Amen.